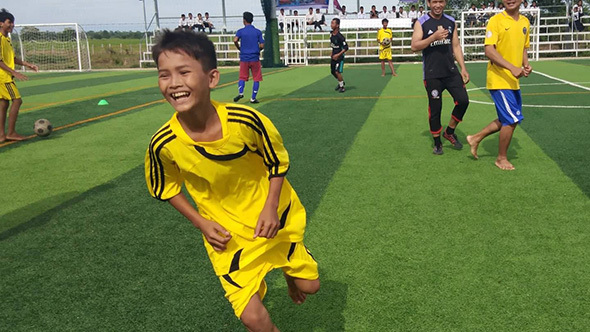 Six of our high school scholarship students recently moved to Battambang so they can attend Preah Monivong High School, one of the best public schools in Cambodia. They live in the Cambodian Village Fund Scholarship House, a short bike ride from the high school. They miss their families back in the village, but they are ready for the challenge of living away from home for the first time. Living in Battambang is not easy for these girls. Their school is heavily oriented toward math and science. 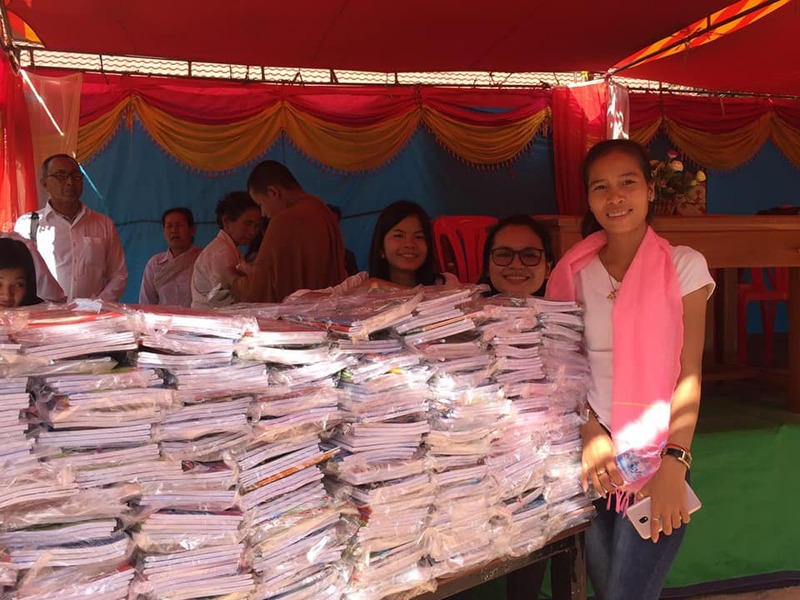 All of the girls take physics, chemistry, biology and mathematics, as well as English, Khmer literature, geography, history, earth science and morals. They attend classes from 6 in the morning until 7 at night, and are also responsible for cooking meals, cleaning the house and doing their own laundry. 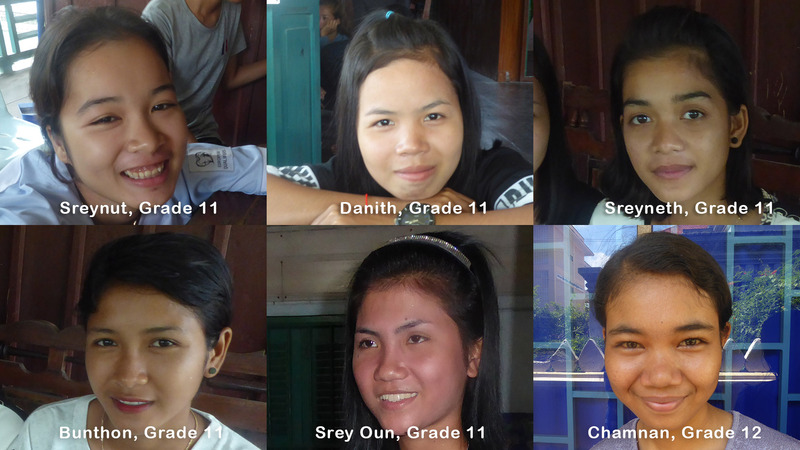 Five of the girls–Sreynut, Danith, Sreyneth, Bunthon and Srey Oun–are in the 11th grade. Chamnan is in grade 12.